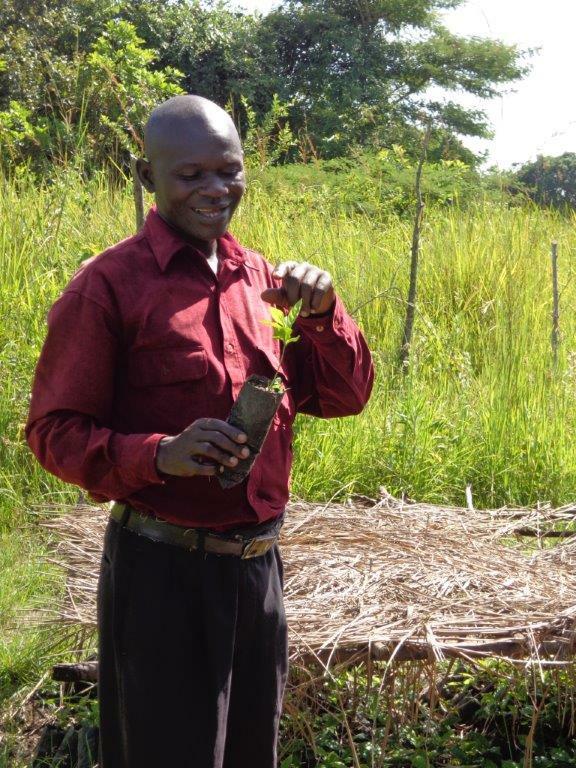 Mountain of Glory Church in Marikebuni, Kenya received the 100 Christmas Dollies gift in 2013 after Pr Njuguna applied what he learned in the Entrepreneurship Series by planting tomatoes on church land (last year he planted peppers and this year he planted okra). 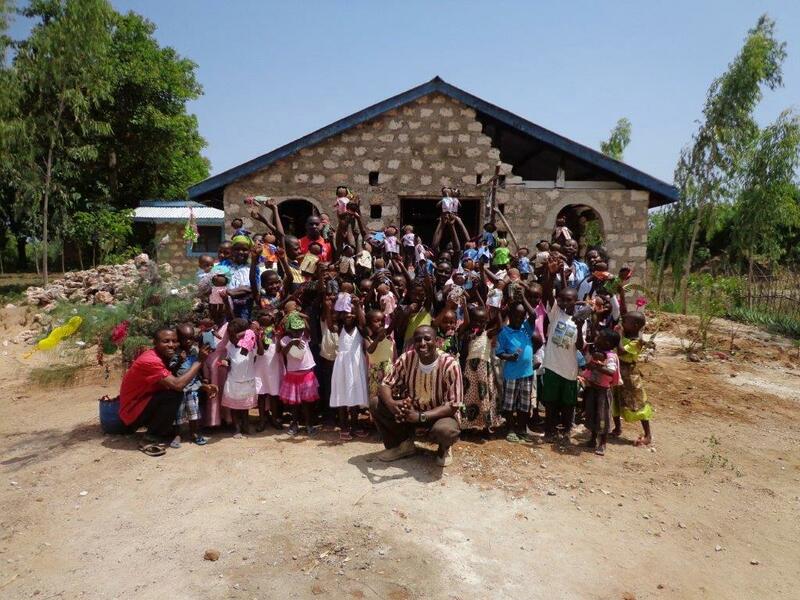 Your gift afforded windows for the church he built using profits from planting. 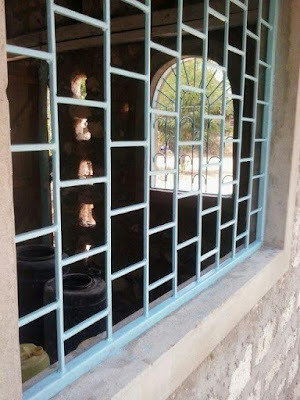 Grace Abundance Church in Watamu, Kenya received the 100 Christmas Dollies gift in 2014 after Pr Owino applied what he learned in the Entrepreneurship Series both in focusing his church strategy and in teaching his church members about farming to support the purchase of church land. Your gift afforded a portion in the purchase of that land. Throughout this year, Surprised by Hope has been watching for pastors who meet our criteria for the next 100 Christmas Dolly gift. First, we desire someone who has applied what he or she learned from any of the Surprised by Hope teaching ministry lessons. Second, we have a heart for pastors and desire that our gift have a lasting impact on the church. Third, we see evidence that the pastor and his or her church members have made significant efforts to meet their own needs and therefore our contribution would be only a minority portion. I’m happy to announce the 100 Christmas Dollies 2015 gift recipient, Victory Christian Center and Pr Patrick Opio. Mud huts with grass roofs sprinkle the landscape in Barrio, a small village waaay outside Lira town in Uganda. This is where Pr Patrick first invited Surprised by Hope to teach about proposal writing and where we began watching his life change. Because of his application of that teaching, he secured a government contract for seedlings for which he started a small tree nursery, and he continues to receive contract requests. 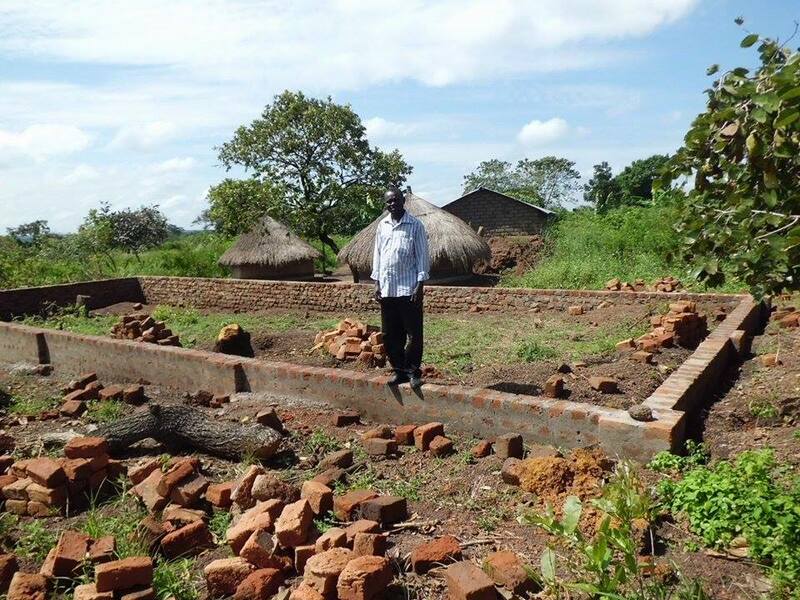 Later we added entrepreneurship teachings and showed you the small school he started by making his own bricks for construction. This year Pr Patrick added a piggery and a dairy cow (her name is Coffee) to his income generating projects and is well on his way to adding a poultry keeping project. Coffee took Pr Patrick for a 30 minute walk before he was able to return to our meeting. 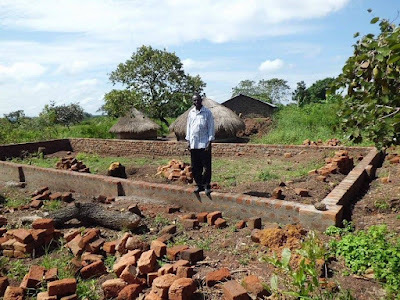 Pr Patrick is using his additional income, along with engaging the community, to construct a permanent brick church structure to replace the one that was eaten by termites (shown below). 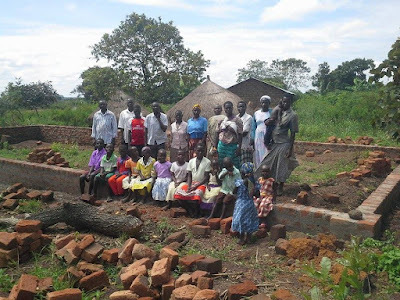 This past Sunday, church and community members came together to contribute all that is needed to prepare the land area and construct the foundation for the church. Surprised by Hope will come alongside Victory Christian Center and Pr Patrick to take the church through the next phase of construction. 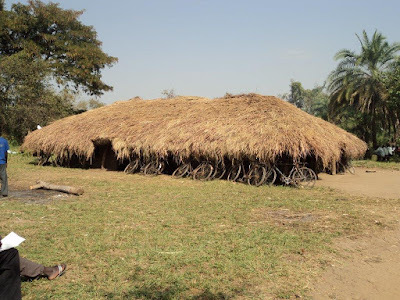 This church collapsed after being eaten by termites. The location for the new church is just across the path from the old church. This ground is rock whereas the former was sand. Yes, building his house upon the rock! This week (Nov 1) the land is being cleared and the foundation constructed. hauling water, and carrying sand, as the bricklayer does his work. The foundation is prepared with bricks left over. Join with Victory Christian Center in building their church structure, one that is impervious to termites. 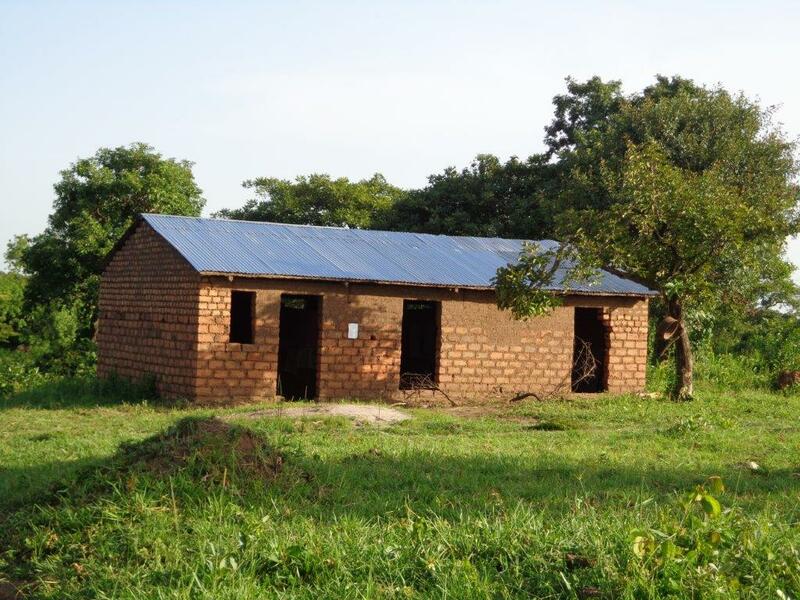 Sponsor dolly boys and girls as a Christmas gift for children living in remote Barrio, Lira, Uganda and we will use your sponsorship money as to purchase the materials needed to bring Victory Christian Center to the next phase of construction. 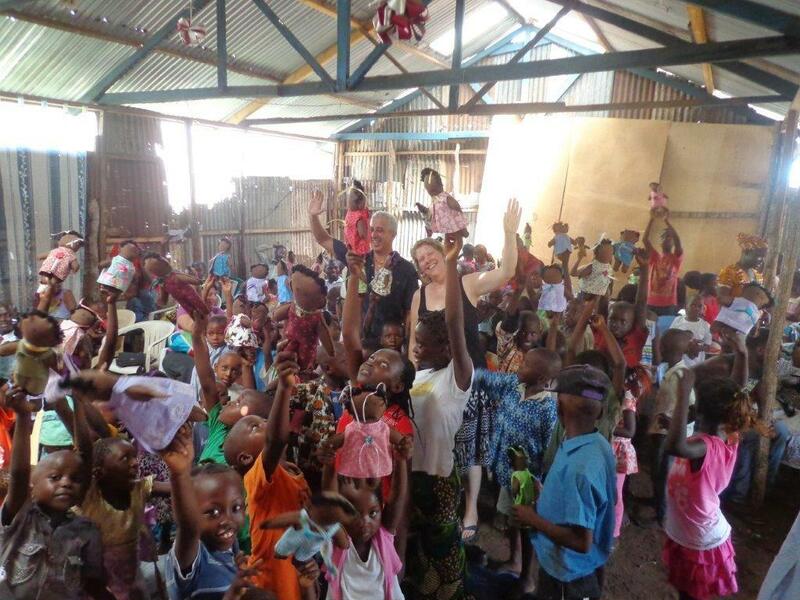 Join with us in this Christmas gift giving tradition as a great way to have a long term impact on the global church. 1. Select your favorite dolly (more dollies are arriving soon). 2. 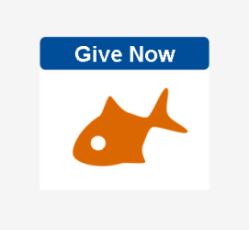 Click here to make your tax-deductible donation using PayPal or your credit card. You do not need a PayPal account to give. 4. Watch Facebook and the website for photos and to follow Pr Patrick's story.